CollegeMobile’s CEO, Chad Jones, alongside Eric Neufeld were honoured by the Saskatoon Chamber of Commerce with the Award of Innovation presented by the University of Saskatchewan Industry Liaison Office (ILO). The ILO actively promotes the evolution of research into marketable products. 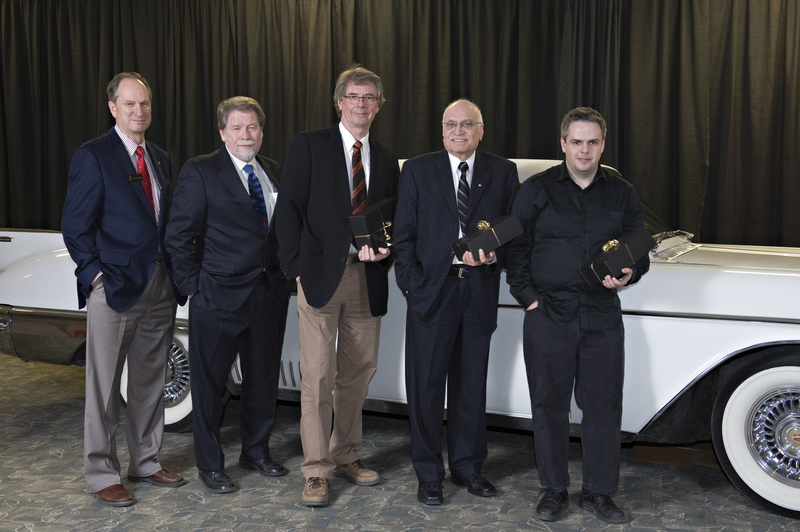 The Award of Innovation was established by Innovation Place and the University of Saskatchewan ILO to honour individuals or groups at the University of Saskatchewan who have created, developed, and promoted a new concept, procedure, process, or product. 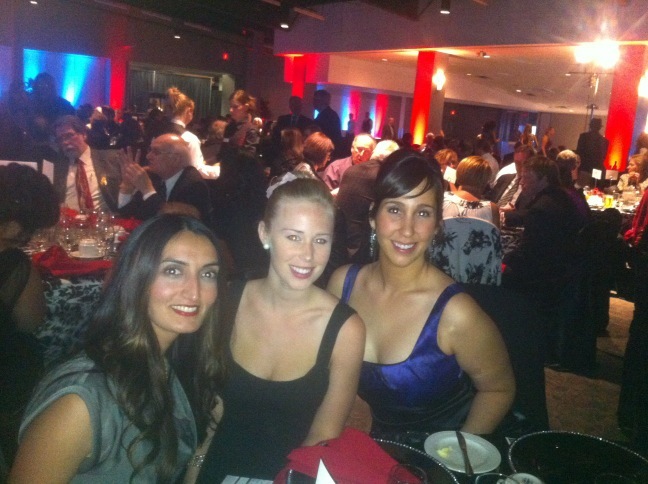 May 17, 2012 – Excitement was in the air at the 2012 SABEX Awards presented by the Saskatoon Chamber of Commerce. Upon arrival we were instantly transported back in time as we stepped into Saskatoon Prairieland and into “Old Hollywood”. Men wearing fedoras and women with gloves, pearls and flapper dresses networked with colleagues, friends and business partners as the night began. The formal program, led by Tracy Arno and Christian Braid, began as we ate dinner and 13 SABEX Awards were handed out to deserving Saskatoon businesses. The time came for the Award of Innovation to be handed out and we were excited and honoured to be a part of such a prestigious group of nominees. 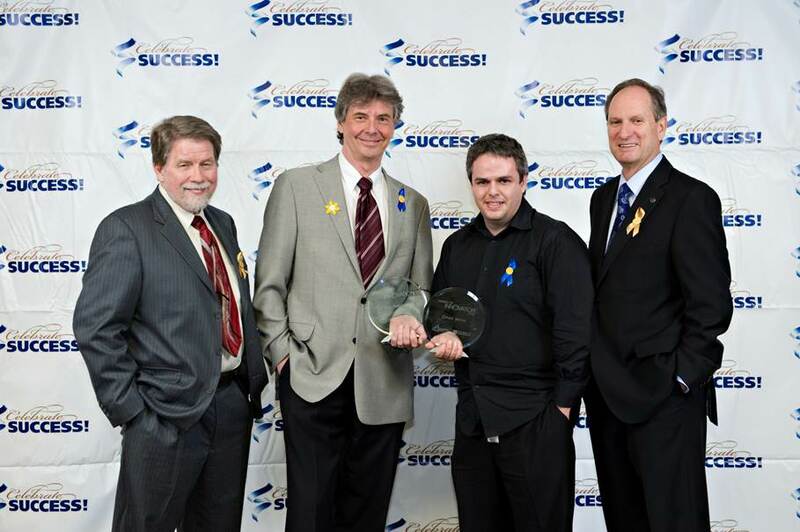 Chad Jones and Eric Neufeld were nominated for the Award of Innovation due to their commercialization of the technology and expertise that was behind the development of the iUsask mobile app. iUsask started at the University of Saskatchewan and led to the development of our company CollegeMobile. Our whole team is so proud to have won this award and grateful for the recognition of our efforts. Congratulations to the Saskatoon Chamber who put on a flawless and entertaining event and to all of the other winners and nominees. We are looking forward to SABEX 2013!